Seroquel, or quetiapine fumarate, is an antipsychotic medication used to treat schizophrenia and bipolar disorder. These mental illnesses are caused by severe chemical imbalances in the brain. Schizophrenia symptoms include disabling interference with thoughts and perceptions. Bipolar disorder symptoms include severe mood and behavioral changes with extreme mania and depression. Seoquel is a common medication used to treat these symptoms. Abrupt withdrawal from Seroquel can cause nausea, vomiting and diarrhea, according to Rx List. Seroquel disrupts serotonin levels in the brain that control stomach and intestinal reflexes. The resulting imbalances in these reflexes and irritation to the stomach lining may cause cramping, pain, nausea and vomiting. Abrupt chemical changes in the brain can also produce dizziness, which in itself can cause nausea or vomiting—in motion sickness, for example. The abrupt chemical change caused by Seroquel withdrawal may be the reason for these symptoms, notes Health Searches. Diarrhea is another symptom of Seroquel withdrawal. Disruption of delicate intestinal balances can irritate the intestines, and diarrhea is the body's attempt to cleanse itself of these irritants. 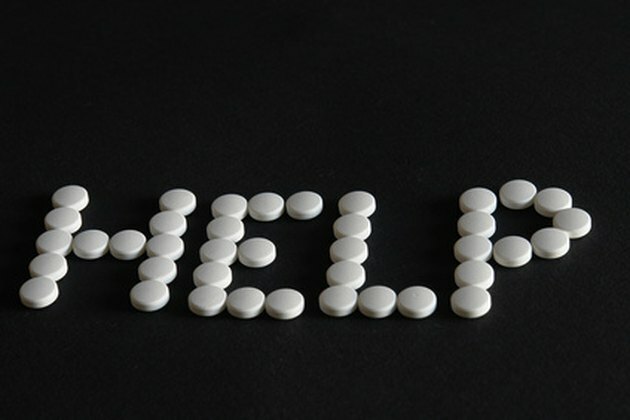 Headaches, dizziness and irritability accompany the abrupt withdrawal of Seroquel. Neurological brain chemicals normally can work together with antipsychotic and antidepressant medications, easing symptoms of mental illness. An abrupt withdrawal from medication can disrupt this balance. Sodium and potassium, for example, maintain electrical and chemical reactions in the brain and affect all brain and organ functions. Therefore, imbalances can also cause thirst, fatigue, disorientation and even death if uncorrected, advises Dr. James Hallenbeck, author of "Palliative Care Perspectives." Individuals with schizophrenia or bipolar disorder require close monitoring during treatment with antipsychotic and antidepressant medications owing to poor medication management. Individuals with severe mental illness may abruptly stop taking medication in response to thought and perception disruptions. Caregivers should immediately notify a treating physician if they notice changes in mood or behavior in patients they suspect may have stopped taking their medication. Seroquel maintains its antipsychotic effects even when a patient misses one or two doses; to maintain its efficacy, however, patients should take Seroquel as prescribed.